The final part to my Asian snacks series and I can only say... be fearless, be brave and go international. The world of snacking (in moderation) awaits you, not just in Asia but around the world. I will be back. But for now, I will take my dramatic exit from your nearest Asian grocery store. The flavour of these biscuits from Japan is extremely vivid and, yet, it's not overly sweet. The cookies are incredibly crunchy and I particularly recommend the coconut flavour. It's very, very hard to stop eating. These are the mother of all chocolates, short of professional chocolatiers. 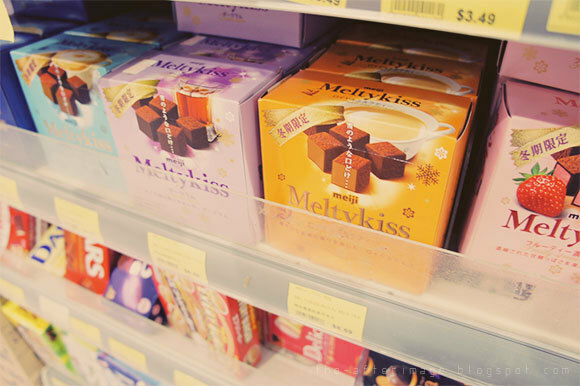 Unbelievably rich, creamy and indulgent with a layer of cocoa powder over the cubes, Meltykiss also comes in a huge range of flavours and fillings for you to explore. 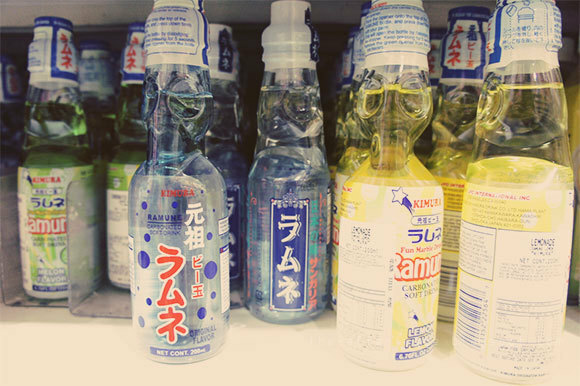 Everyone on my school tour to Japan in 2008 were ridiculously obsessed with Putcho – between us, I think we tried about all the flavours to be found at the time. 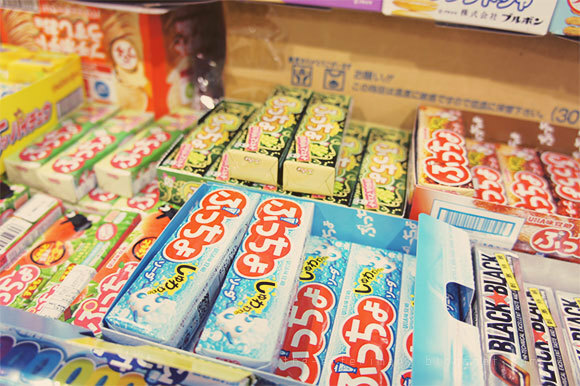 Putcho comes in a huge variety of flavours (in the typical Glico way) and often have bits of gummy or sorbet and other surprises hidden in its trademark white chewy candy. 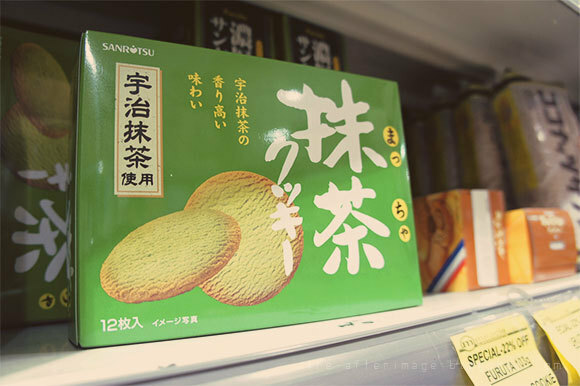 The vivid green tea taste and shortbread-esque texture of this Japanese brand is absolutely amazing when combined into these cookies. 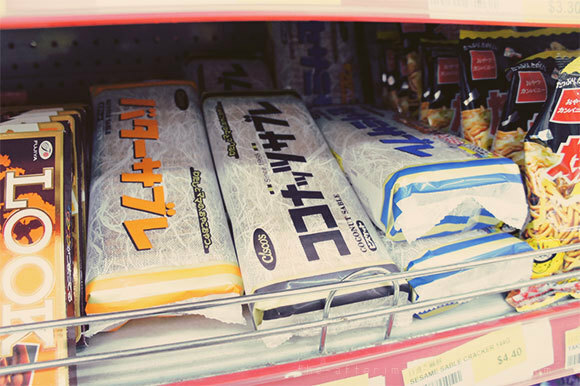 They're a little excessively packaged as individual cookies, but the packaging of Japanese snacks is an art form in itself. Another classic childhood snack. 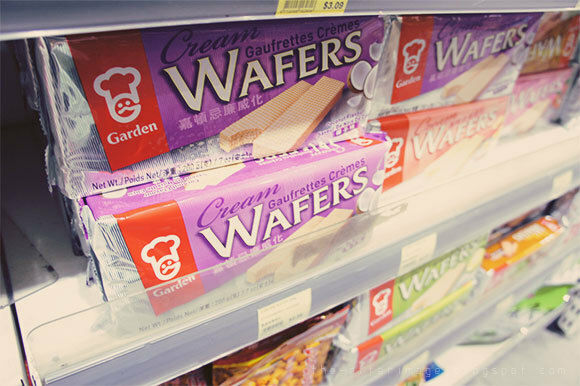 My favourite flavour is coconut – the wafers are crunchy and light and the cream inside balances out the flavour very nicely. Be careful eating them as they can get messy and make sure to store them in airtight containers. Trust Japan to introduce a simple but oddly entertaining novelty. The marble that jiggles around in the neck of the bottle after you open it introduces interesting sounds to your soft drink experience. Have you tried Asian dried fruit? It is quite different in taste from regular dried fruit because they add salt and liquorice to it. 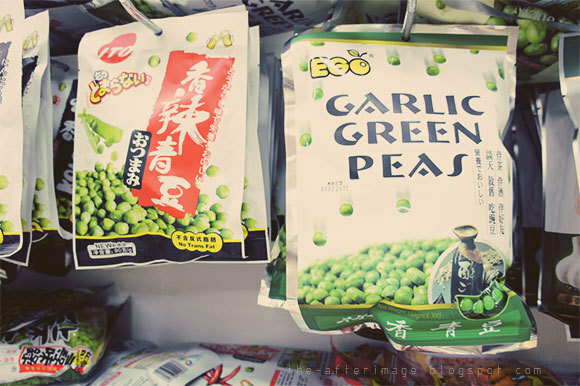 I happen to purchase the garlic green peas on a whim. I waited a few weeks before opening the bag. I finally opened the bag I found them to be great! ...but I can't remember where I bought them! I frequent a number of different Asian stores and I don't know from where I got them.